Macally has a reputation for making computer accessories that combine form and function without sacrificing aesthetics. The Ecopad is a typical Macally product — minimalist in design, attractive to the eye and hand, and serving a useful function. 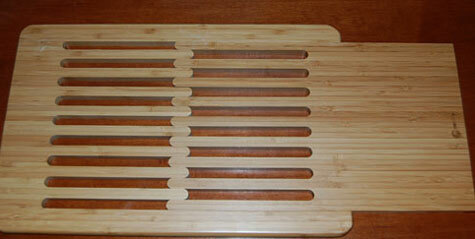 The Ecopad is a bamboo lapdesk, suitable for any laptop. In its closed position, the Ecopad is a 10″ X 15″ solid rectangle. 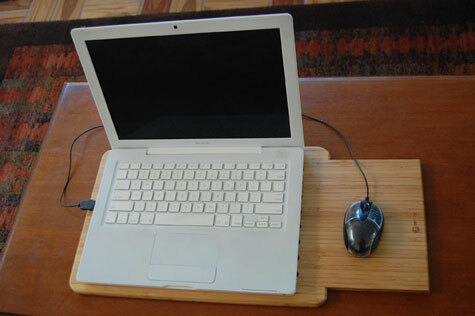 But, pull on the side and the solid rectangle opens up to a slatted desktop with a 5″ X 8″ mousepad extension. The slats allow heat generated by the laptop to disburse and enable cooler air to circulate under the computer. There are no fans or wires or batteries. This is passive cooling or merely ventilation. After leaving my Macbook on it all day, the computer never felt more than sightly warm. Macally also makes product called the Ecofan which is a bamboo laptop desk with two small fans that sells for about $5 less than the Ecopad. If you’re traveling, the Ecopad fits easily into a backpack or briefcase and weighs only 2.2 pounds. 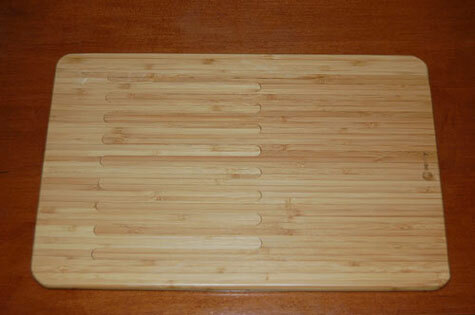 The Ecopad gets its name from the fact that bamboo is sort of the poster plant for sustainability. It’s the fastest growing plant in the world. Besides that, it’s beautiful to look at. Rickshaw Bags’ Commuter Backpack is well-designed and sturdy. It comes in many colors. 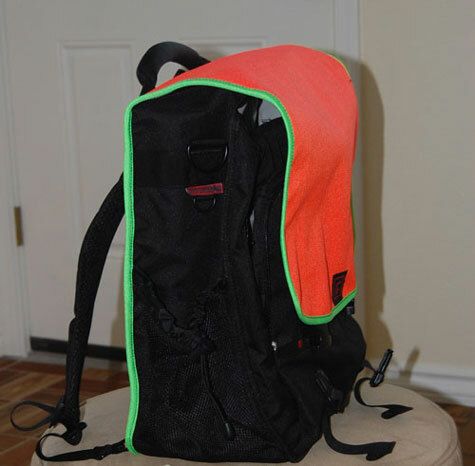 If you’re a bicycle commuter, you may love the one with the mandarin orange back flap. 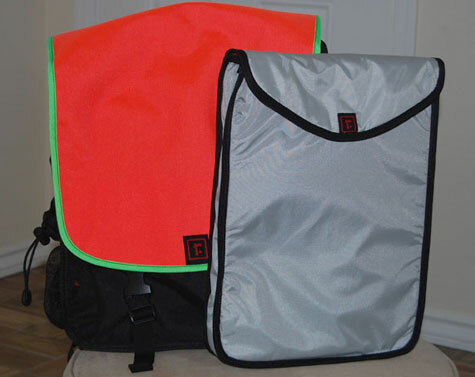 It will turn your back into a giant reflector after dark and also enhance your visibility during the day. Yes, it’s a shockingly loud color, but that is clearly intentional. As a safety device it’s hard to beat. The pack makes a nice portable office with a variety of pockets, clips, and slots for storing odds and ends. The spacious primary compartment contains a padded sleeve large enough to hold a 15-inch laptop. The sleeve is held in place by large Velcro strips and can be removed from the pack and carried separately. I liked the fact that this bag will stand on its own. You don’t have to worry about it toppling on the ground each time you put it down. The main flap is equipped with magnets that enable you to close the pack quietly. You can also pull off the strip with the magnets and just use the Velcro tabs to secure the flap, but every time you pull open the pack you’ll be hearing a loud ripping sound. The magnets are a far more elegant approach. The magnets are a nice touch, but for complete security you’ll want to snap the buckles in place once the flap is down. The shoulder pads are well-padded and can be unclipped and hidden away in the long compartment that leans against your back. Take a look in this compartment, by the way, and at the bottom you’ll notice another nice feature: a nicely padded rectangle that provides a nice buffer for your back. Once the shoulder straps are tucked away, the sturdy handle at the top of the pack still makes it easy to haul the bag into an overhead compartment. Like most backpacks, this one has mesh side pockets suitable for carrying a water bottle. Unlike similar products, however, these are spacious and can be tightened down with the drawstring. In addition, stick your hand inside the side pocket and you’ll discover a sleeve-like pocket in each side that can fit an iPod or cellphone or a handful of markers. These packs are manufactured as you place your order, so each pack is customizable. Rickshaw keeps all the materials on hand in its San Francisco shop and the packs take around 15 minutes to assemble. My strongest impression is that the Rickshaw Bags’ Commuter Backpack was designed by someone who knew from personal experience the most useful features to include. The Cordura Nylon fabric will keep your stuff dry and, while I can’t speak for the other colors, the mandarin organize may save your life.